FORT RUCKER, Ala. (July 12, 2017) - Dehydration, lack of acclimatization, blazing temperatures, high humidity and heavy workloads can rapidly lead to heat illnesses. Heat cramps or heat exhaustion, if undetected or left untreated, can rapidly lead to heat stroke, which can be fatal. That's a fact I've known since the summer day I nearly died. I'd just graduated from the U.S. Military Academy and was commissioned into Army Aviation. After finishing my graduation leave in the Northeast, I drove to Fort Benning, Georgia. The next day, I was running, doing calisthenics and screaming, "Airborne!" to all who would listen. 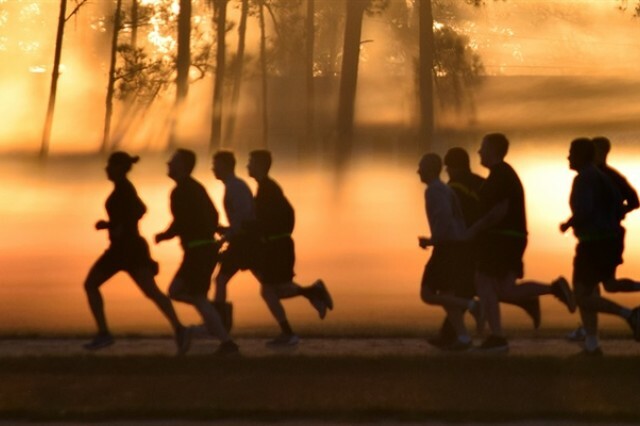 On the third day of Ground Week, I headed out on a four-mile run in the center of a very large PT formation full of highly motivated Airborne wannabes. I started with them, but I didn't finish. Instead, I made a trip to Martin Army Hospital in a deuce-and-a-half and almost left by way of a hearse. I remember little of what happened that morning, but friends later told me I simply collapsed mid-stride and knocked over a few other students. I was helped into the back of the deuce-and-a-half that was trailing the formation to pick up stragglers. 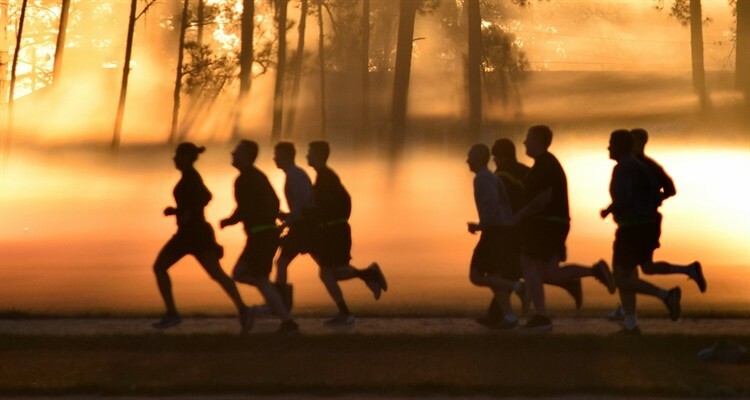 When the PT formation returned to the company area about 7:30 a.m., the students cooled down, headed to chow and then came back for training at 9 a.m. I was absent from both the cooldown and accountability formations. To this day, I don't know if anyone even attempted to locate me. About 10 a.m., someone noticed my absence and started looking for me. Prompted by a fellow student who was concerned for this fallen comrade, at least one trainer joined in the search. When they found me, I was still lying in the back of the deuce-and-a-half, unconscious and with a core body temperature ranging somewhere between 106 and 108 degrees. I was near death and it was only through the quick thinking of my fellow student and one very sharp Army physician's assistant -- trained at the Army Special Warfare School -- that I was saved from dying right there in the shadows of Fort Benning's famous jump towers. For the next three weeks, I spent all of my time at Martin Army Hospital, the guest of some very committed Army doctors, nurses and other medical specialists. After the first 10 days, I was taken from the intensive care ward, but only after my temperature stabilized and my memory returned. After nearly a month, I left the hospital under my own power. By then, most of my memory had returned. I recall clearly the difficulty I had climbing the stairs to my guest room on post to retrieve my personal gear before heading off on convalescent leave. It was another three or four months before I could participate in a reasonable Army PT program again. I learned some lessons that summer which I'll share with you. First, leaders must be present and watch Soldiers closely when training in high temperatures. The training unit I was assigned to had more than 450 students running in formation, yet I don't recall more than three or four trainers being present -- including the Soldier driving the cargo truck. I'm told neither the company commander nor the first sergeant were present for training that morning. Second, you must allow people time to acclimate if they've not been exposed to high temperatures and humidity. I may have been young and fit, but summers in the South are brutal, especially to someone who hadn't been south of West Point, New York, during the previous two years. Because I wasn't acclimated to Fort Benning's nasty summer weather, it might have been wiser for me to have spent a week to 10 days acclimatizing and conducting limited physical training before going at it full speed. If you're a leader, find out which of your new people aren't accustomed to the weather where you're training. Give them time to acclimate and become properly hydrated while gradually working them into physical activities. Third, keep accountability of those in your care, even if it means frequently conducting head counts and checking on peoples' whereabouts. This is especially critical when doing PT in hazardous environments. Had I been given immediate medical care, I would have had a minor injury rather than a near-death experience. Instead, I was left alone - injured and unattended - even though my squad leader, fellow students and trainers all knew I'd fallen. They just assumed someone else knew where I was. The fourth lesson is for leaders to know the symptoms of heat illnesses and never underestimate how rapidly heat can turn minor injuries into life-threatening ones. Fortunately for me, there were a few people present that morning who understood some of these things and I owe them my life. I hope my story will help you, as a leader, understand how vital your responsibilities are when you're training Soldiers in heat that can kill.